Updating a homeowners passion for all things contemporary meant softening up the palette and bringing a welcoming aura to the formal living areas. Family rooms are meant to be enjoyed by all members. Creating a space that fits Mom and Dad as well as the children is only a phone call away. Traditional design is not a forbidden word in todays interiors. Classic wallcovering designs with mixed tones of soft gold bring sophistication to dining spaces. Updating your home is a personal experience. Barb Abraham works with you to bring forth the look and functionality you are searching for. Her expertise in new construction and remodeling will help you incorporate your wants and needs into great design. Even the solid wood custom made cabinetry in this 1960's home needed to make room for the innovations available in today's kitchen. Full extension drawers, built in pantry cabinets and custom crown molding increase the storage and workability to 2016 expectations. 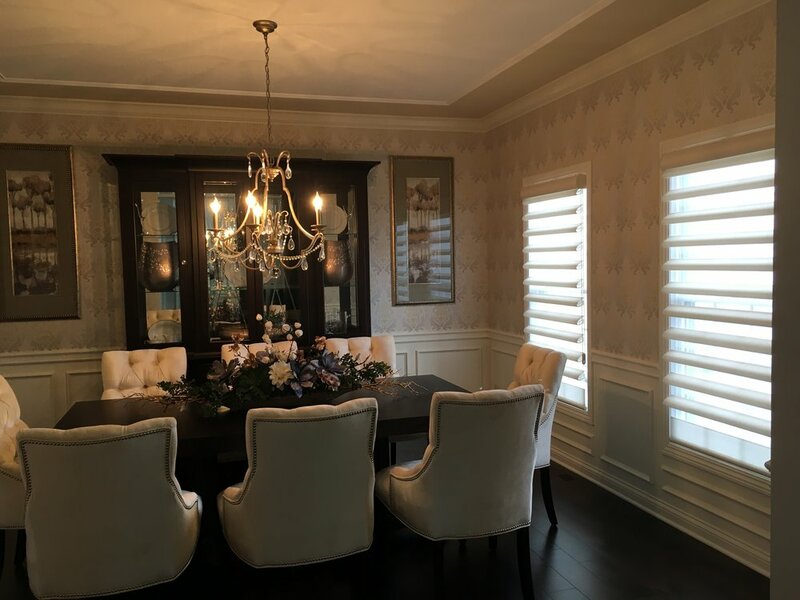 From Custom Cabinetry Design to Custom Window Treatments, Barb Abraham Designs can work with you from blueprint review to final accessorizing. We work with you in designing that "one of a kind" built in to enhance the beauty and functionality of the room, or provide the finishing touches from window treatments to furniture to make your room complete.